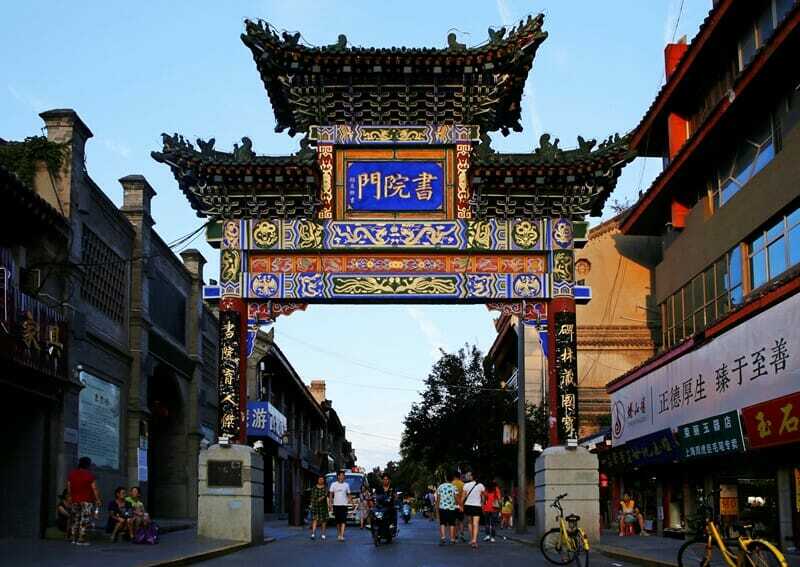 Xi'an is sometimes referred to as the cultural capital of China. 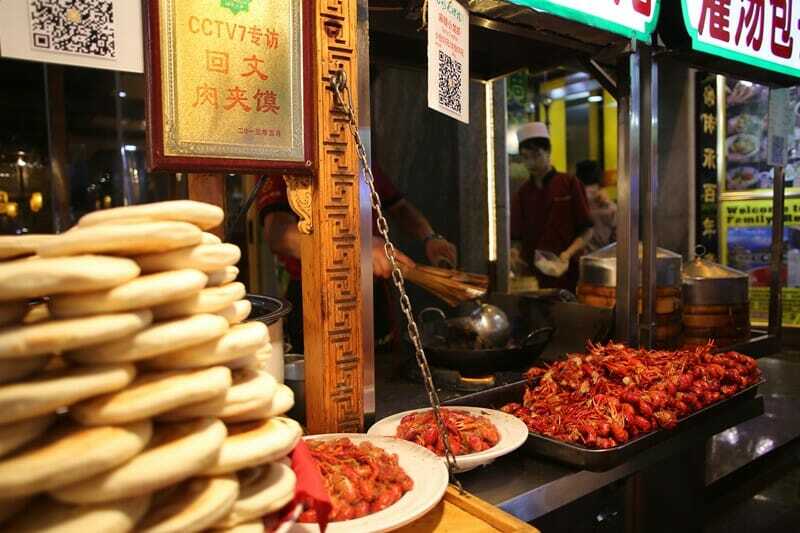 Read on for what to see if you only have 2 or 3 days in Xi'an! Xi’an (pronounced “She Ann”) is home to thousands of years of history and culture, and served as China’s capital for more than a dozen dynasties. There’s a local saying that if you want to learn about China’s history from the past 10 years, go to Shanghai. If you want to learn about the past 100 years, go to Beijing, and if you want to learn about the past 1,000 years in China then visit Xi’an. 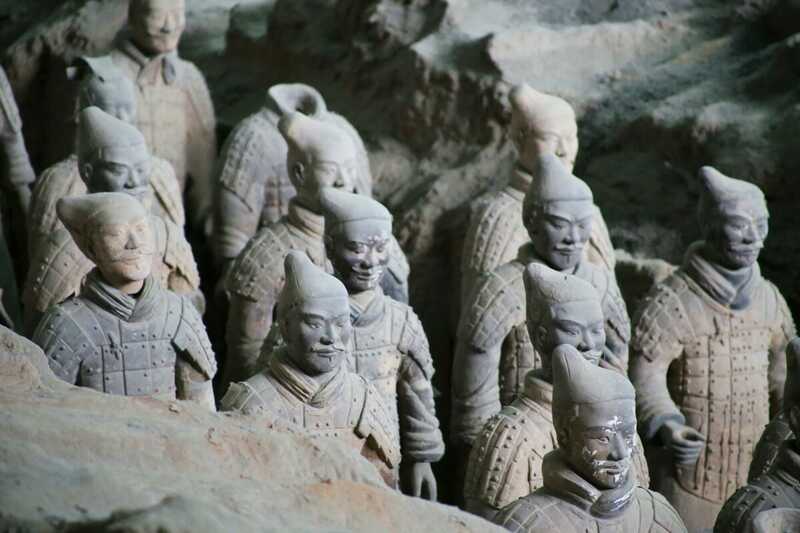 With so much history in Xi’an, it stands to reason that there are many ruins and archaeological sites that can be found there, including the astonishing “8th Wonder of the World”, the Terracotta Warriors of the Qin Dynasty. But did you know that Xi’an has more to offer beyond the Terracotta Warriors? 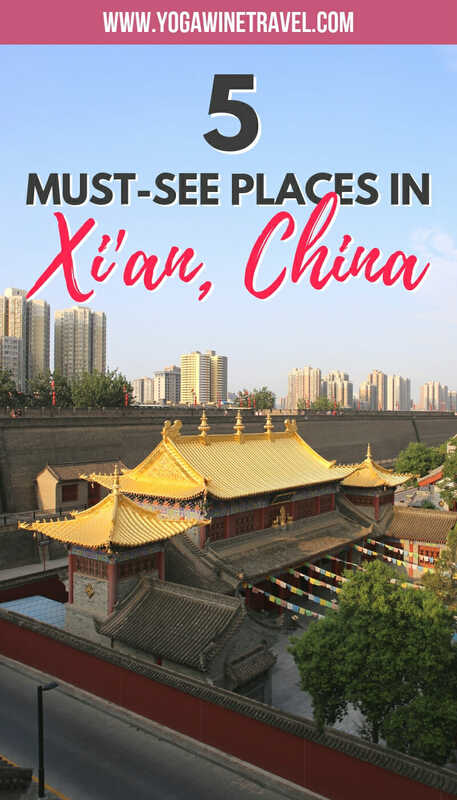 Read on for the best tourist attractions in Xi’an that you have to add to your Xi’an itinerary! To get into Xi’an you’ll want to fly into Xianyang International Airport. We flew from Beijing to Xi’an in just over 2 hours, and there was almost 1 flight every hour. A cab from the airport to the city will take approximately 40 minutes, and you should make sure that the taxi driver puts the meter on. Alternatively, click here to book a private airport transfer ahead of time! The currency is the Chinese Renminbi. The exchange rate is approximately US$1 to 7 RMB, and cash is still king if you don’t have a local bank card/Alipay/WeChat account. English comprehension in Xi’an is not as high as in cities like Beijing or Shanghai, so you may want to ask your hotel to help you out with basic translation. Get around Xi’an by cab or on foot. Uber China was acquired by Didi Chuxing, a local taxi and ridesharing app, make sure you download it ahead of time if you’re visiting China. Stay connected and buy a local SIM card or rent a WiFi device at the airport, but remember – Google services, Facebook, Instagram and Whatsapp are blocked in China so you will need to use a VPN service if you want to access any of those apps. Make sure you subscribe to the VPN before you arrive in China as the majority of the VPN websites are also inaccessible from within the country. Xi’an can be extremely warm in the summer months from July to September, and very cold over the winter months from December to February. 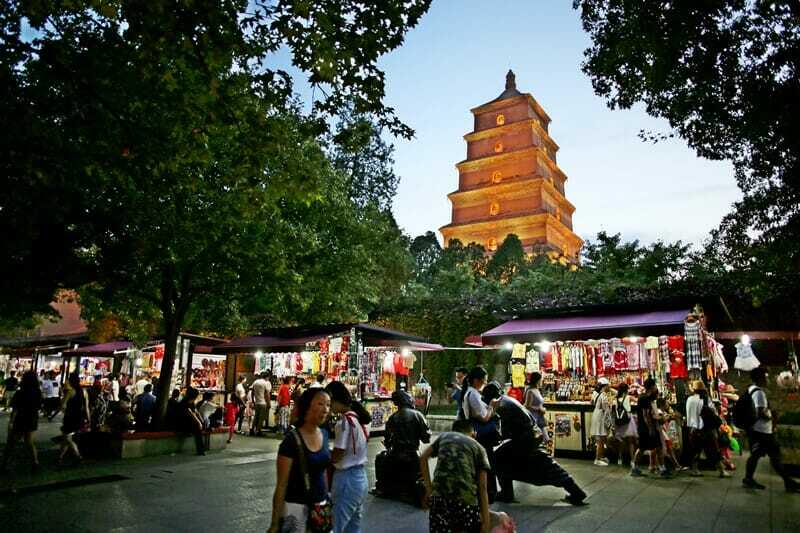 The best time to visit Xi’an is from March to early June, or from September to November. However, you’ll want to make sure that you avoid traveling around China during the Chinese New Year (typically in February but varies each year according to the lunar calendar) and Golden Week holiday during the first week of October each year. Traveling in China during these two national holidays is guaranteed to be crowded and more expensive. Shuyuanmen in the Beilin area is the best location to stay in Xi’an in my opinion. 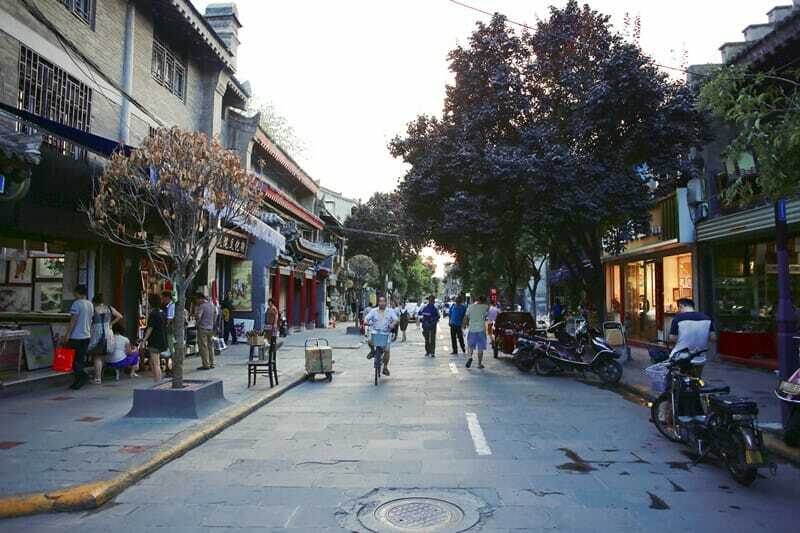 This small pedestrian street is lined with Chinese calligraphy shops, tea houses and traditional architecture. Because it is a famous ancient culture street there is minimal traffic noise and most taxi drivers know where it is. 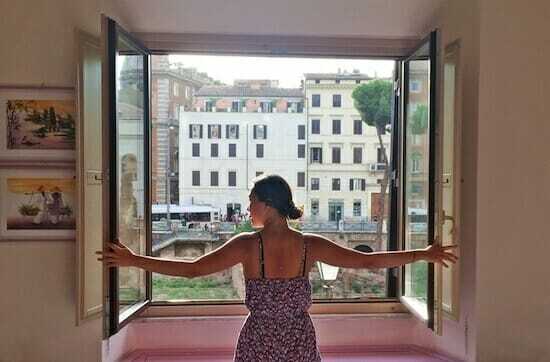 We stayed at See Tang Youth Hostel, a small boutique guesthouse with clean and spacious rooms, a beautiful roof garden. Though it has “hostel” in its name, it actually has many private rooms available. 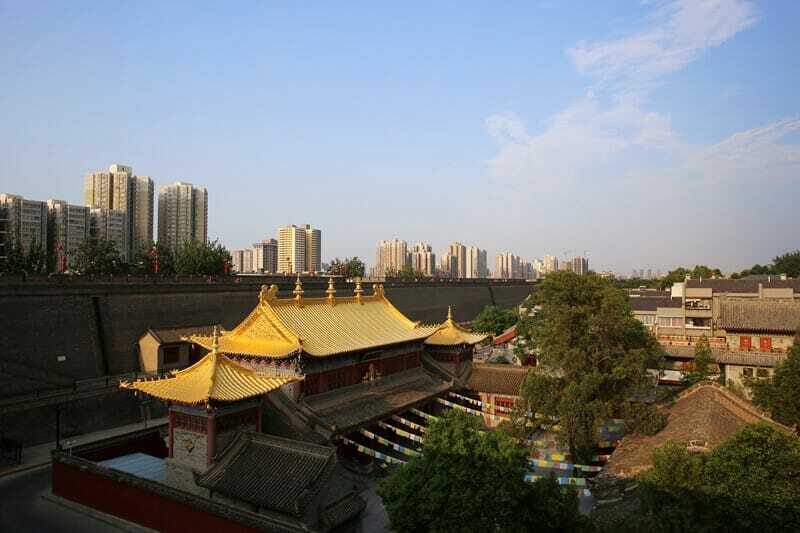 See Tang Youth Hostel is within walking distance to the south gate of the City Wall as well as the Xi’an Bell Tower and Huimin Street night market. 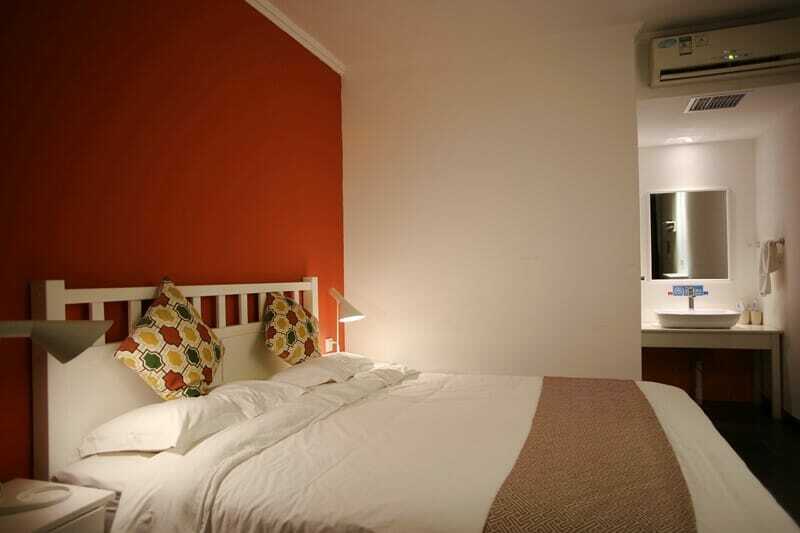 Click here to check current rates at the Xi’an See Tang Youth Hostel or click here for other highly rated hotel options in Xi’an! There are several important tourist attractions in Xi’an not to miss, and you can easily cover a lot of ground within just 2 to 3 days. You’ll find that the pace of life is more leisurely and laid back in Xi’an than in cities like Beijing and Shanghai, and you can easily wander within the city on foot. Read on for the best places to visit in Xi’an! 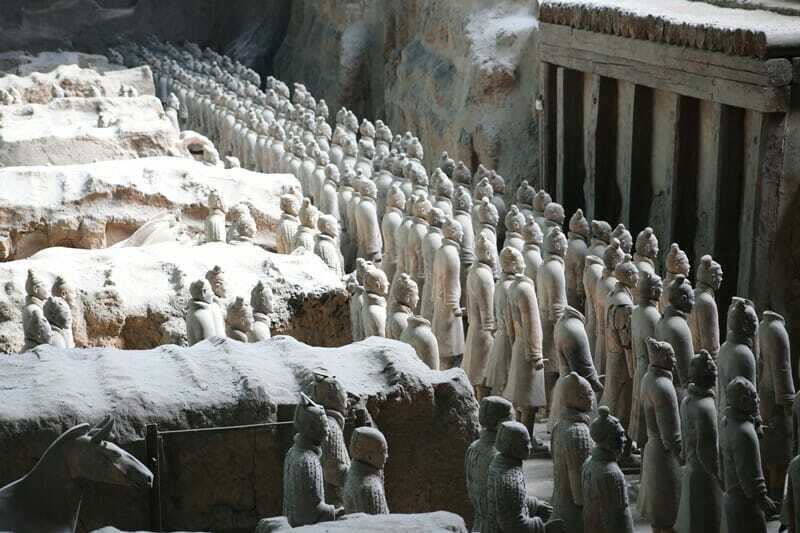 Sometimes also known as the 8th Wonder of the World, the Terracotta Warriors are every bit as amazing as you may have heard and is one of the top things to see in Xi’an. In my opinion, this archaeological discovery is not overrated in the slightest, and you’ll have to pick your jaw off the floor once you’ve visited. It was designated a UNESCO World Heritage Site in 1987. 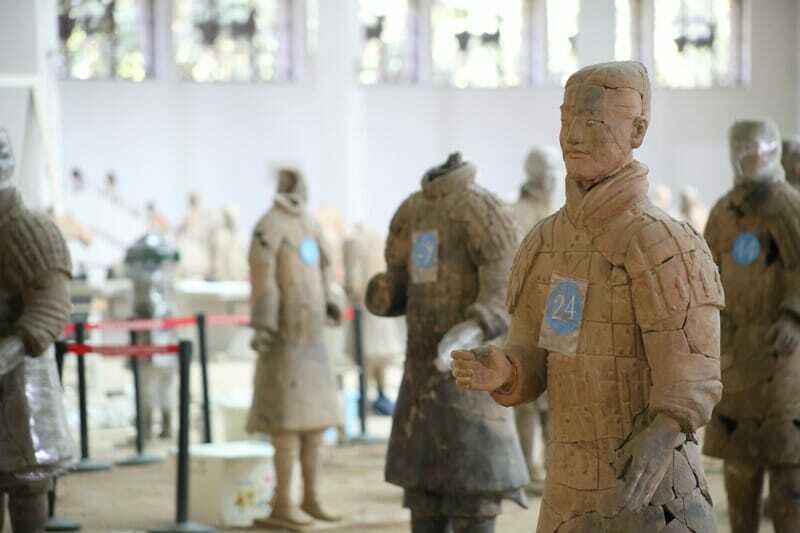 Discovered by a local farmer about 40 years ago, the army was painstakingly created to accompany Qin Shihuang into the afterlife. Located about 1 hour outside of Xi’an city, the Emperor chose to be buried here as it was next to a mountain with jade deposits (signifying health) and next to a river with gold deposits (signifying wealth). 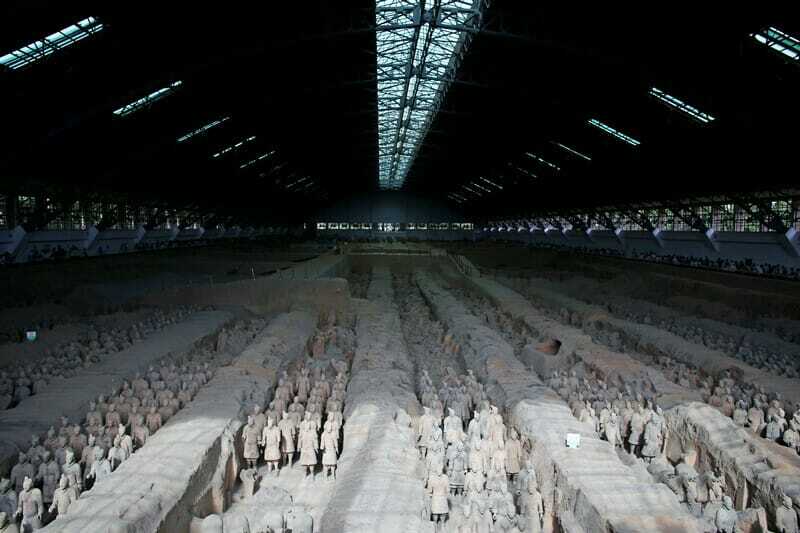 There are 3 pits full of terracotta warriors that open to the public, with each of the thousands of soldiers being unique with different hairstyles and facial features. 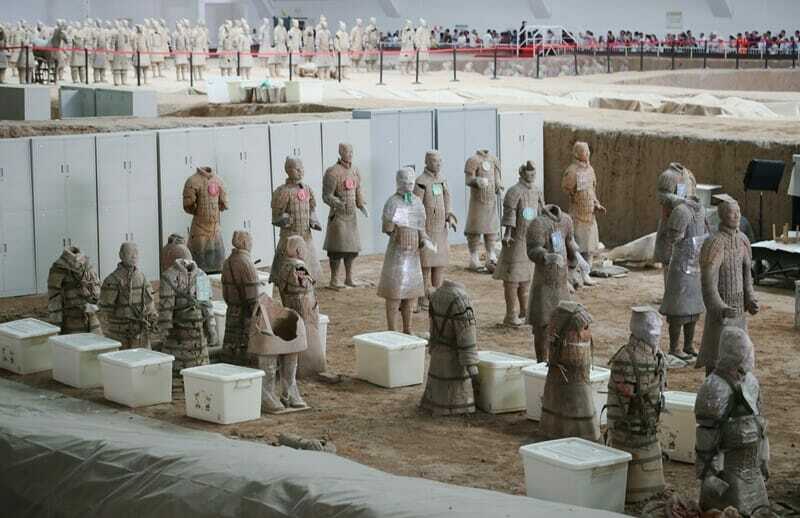 Unfortunately, much of the treasure has been plundered over the years and many of the terracotta warriors were broken from a collapsing roof, but archaeologists have conducted extensive restoration work – it takes 5-8 months to repair one warrior! 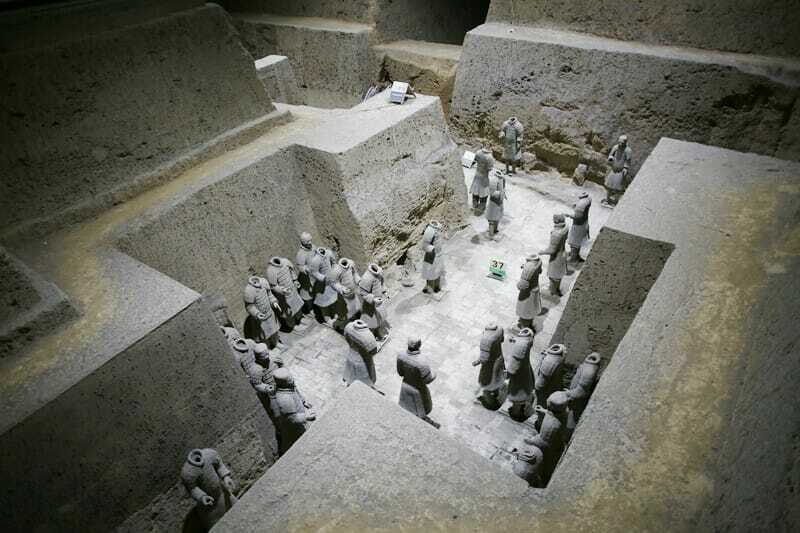 Start by visiting pit 1 where the soldiers all face east to protect the main tomb, and make sure you check out the archaeologist work station, or “Terracotta Warrior Hospital”, in the back. Head over to the “command center” or pit 3, where it’s believed that most of the commanding officers were located as well as a war chariot. Move on to pit 2 with the “complex army” of charioteers, archers and so on. 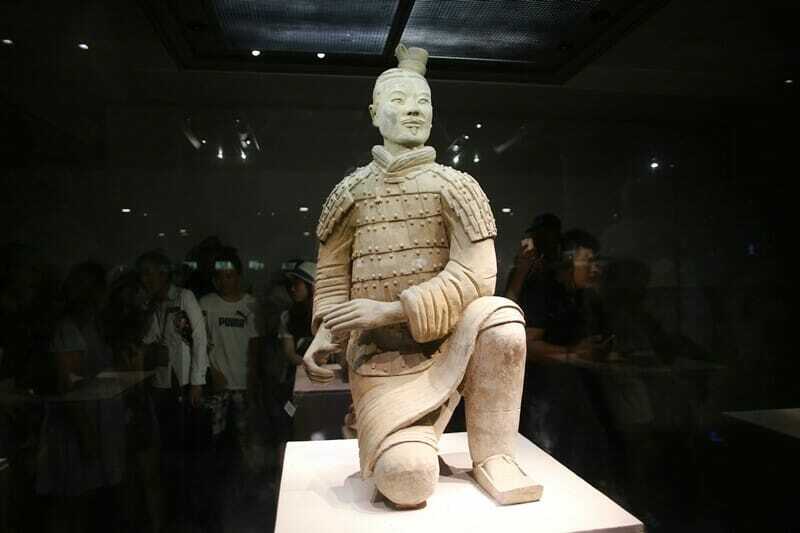 Make sure you check out the kneeling archer, the only unbroken statue – as he is kneeling he didn’t suffer the same fate as his comrades when the roof fell! Tickets for the Terracotta Warriors cost us RMB150 when we visited in August, and a licensed English speaking guide will cost you about 200 RMB. This is one instance in which I would recommend that you hire a guide to give you more historical background information and to lead you from pit to pit. 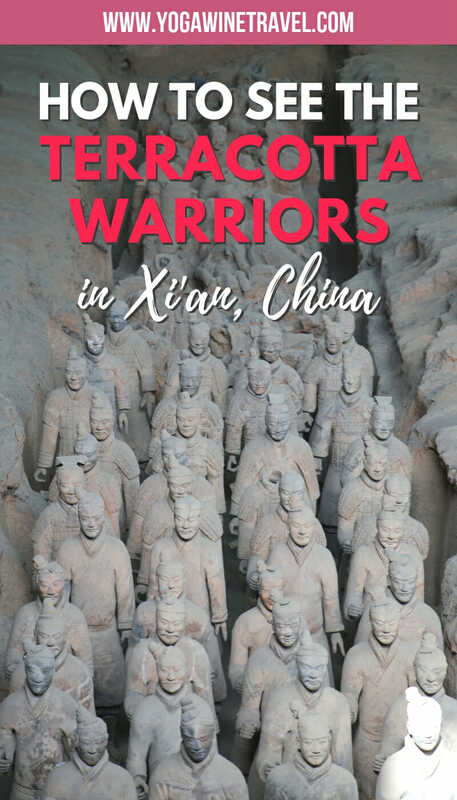 You’ll find many of them at the entrance of the tombs, or you can book a private Terracotta Warriors tour ahead of time here – many of these tour operators will also handle your transportation there and back. Make sure you read the reviews ahead of time! As far as I am aware, there are no skip-the-line tickets for the Terracotta Warriors, everyone has to line up to purchase tickets and to get in. For this reason, I would recommend that you arrive early and plan to spend about 90 minutes to an hour there. Terracotta Warriors photography tip: As the lighting isn’t fantastic you’ll want to bring a DSLR or mirrorless camera with decent optical zoom – I used a 75-300 mm lens and Canon 6D. Alternatively, you can also use one of the newer smartphones that offer better built-in cameras. Click here for more mobile photography tips or here for my favorite photo editing apps. The Xi’an City Wall is a massive fortification built during the Ming Dynasty. Cycling along the city wall is one of the best things to do in Xi’an, and it will take you approximately 2 hours of leisurely cycling to get all the way around (approximately 14 kilometres long). 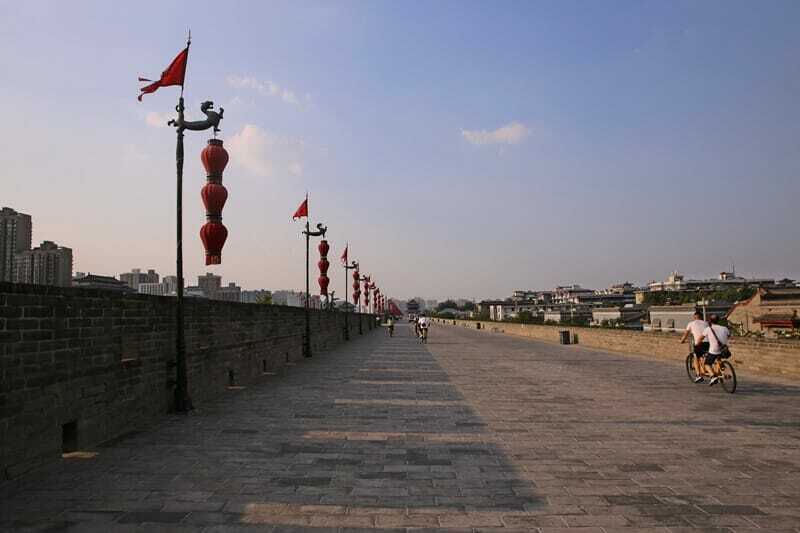 Walking or cycling along the city wall gives you some of the best views of Xi’an. Tickets for the Xi’an City Wall cost 54 RMB per person, and you can rent a bicycle for 2 hours for 45 RMB. Tell the taxi driver that you’d like to go to “Cheng Qiang Nan Men”, or simply cross the street if you’re staying at Shuyuanmen. 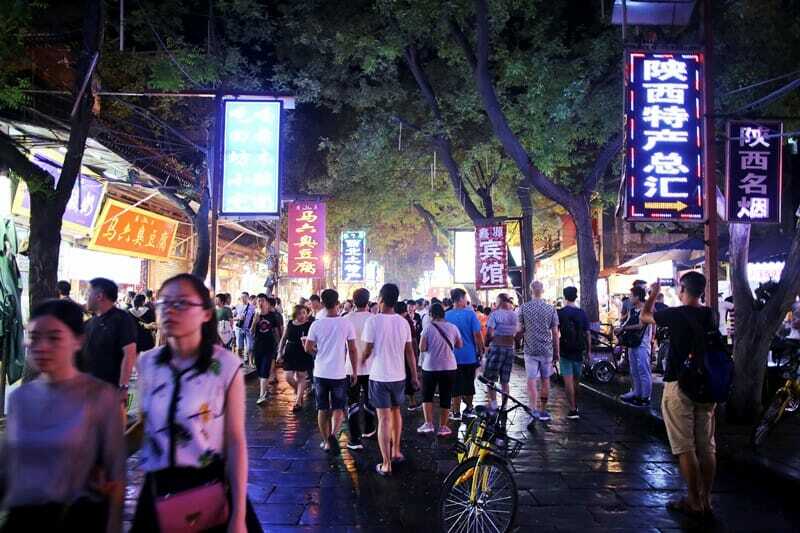 Visiting Huimin Street is one of the best things to do at night in Xi’an. 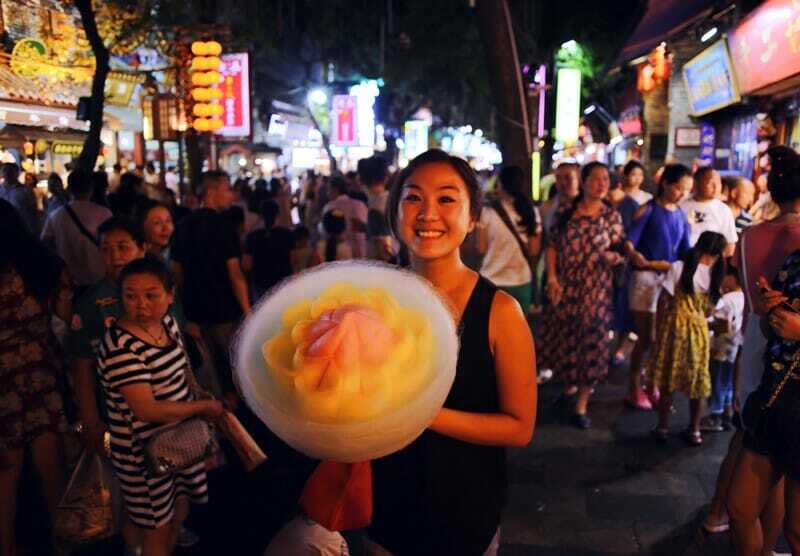 There are tons of shops selling souvenirs and stalls selling delicious (and weird) street food: try the cotton candy that is bigger than the size of your head! The street is very popular with locals and tourists alike, and can get extremely crowded so make sure you keep an eye on your belongings. It’s the best place for street photography in Xi’an so make sure you bring your camera! Tell the taxi driver you would like to go to “Hui Min Jie”. Dating back to the 7th century, the Giant Wild Goose Buddhist pagoda is outside of the city walls and was built to house sacred scriptures and puts on elaborate water and light shows at night. It’s worth stopping by before you head over to Xiaoliu Soup Dumpling for the most mouthwatering dinner. Tell the taxi driver you are headed to “Da Yan Ta”. These two Xi’an tourist attractions are just adjacent to each other and connected by an underground tunnel. 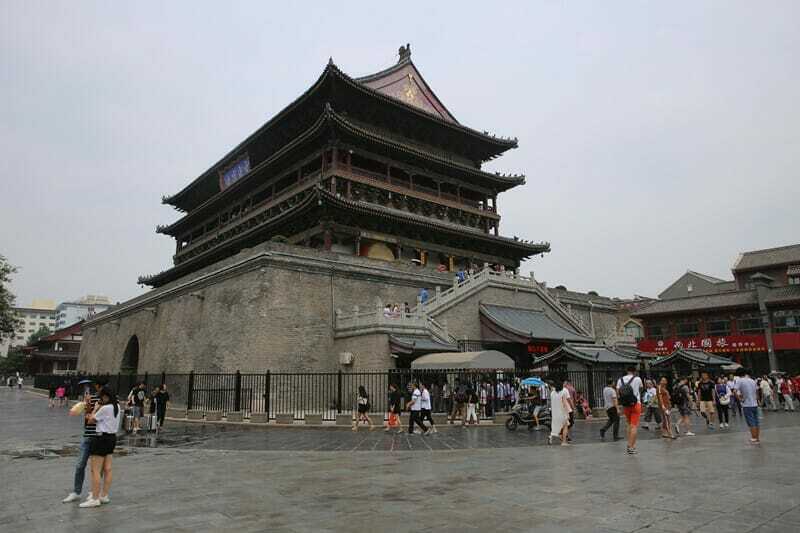 The bell tower dates back to the 14th century and is an iconic structure in Xi’an. It was mainly used for reporting time and publishing news, but also served a number of other functions including sounding alarms during Japanese air raids, a cinema as well as a jail. 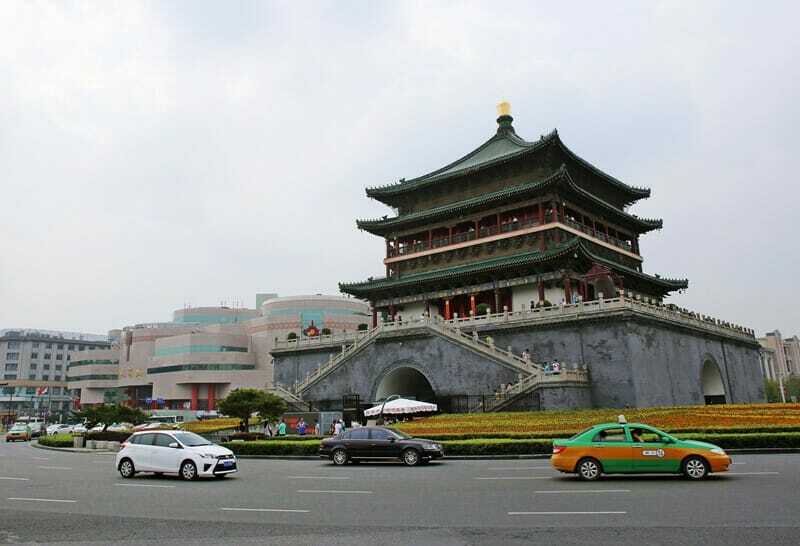 The Xi’an Drum Tower got its name from the huge drum located within the building and also houses a drum museum. While the bell tower was rung at dawn, the drum tower used to be beat at sunset (source). Tell the taxi driver you would like to go to “Gu Lou” or “Zhong Lou”. 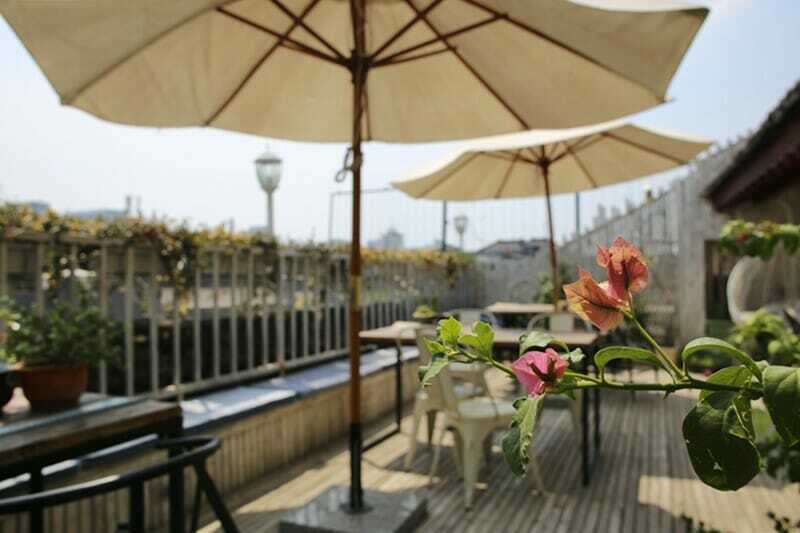 Xi’an hotel recommendation: Check out See Tang Youth Hostel, a small boutique guesthouse on a historic street with clean and spacious rooms and a beautiful roof garden. Though it has “hostel” in its name, it actually has many private rooms available. Click here to check current rates at the Xi’an See Tang Youth Hostel or click here for other highly rated hotel options in Xi’an! If you have more time in Xi’an, why not go on a day trip to Mount Huashan, one of the most famous and picturesque mountain ranges in China? Alternatively, you could leave Xi’an and move east to Hangzhou by plane or train, another ancient capital of China. 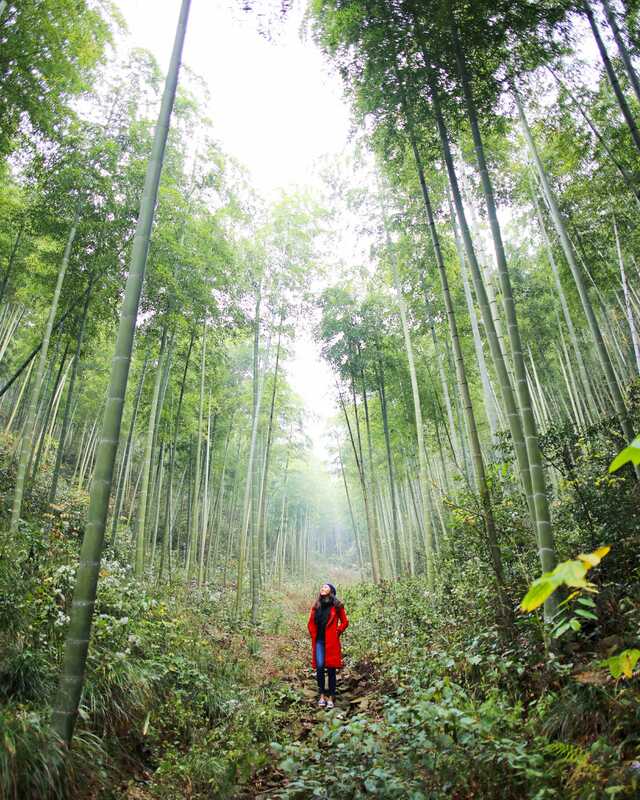 Make sure you check out the bamboo forests (pictured above) surrounding Alila Anji 2 hours outside of Hangzhou, they are much more impressive and far less crowded than the bamboo forests in Kyoto, Japan!